This catholic chapel explores the interface between building, material and site, and serves as a catalyst for exploring religious rituals as they relate to nature. Set amid the trees and constructed entirely of recycled wood structural products, the chapel design seeks an interdependent relationship between space, structure and material. Worshippers arrive at the rear of the site and are led through the trees to an outdoor platform, where they congregate before heading into the sanctuary, whose glass end wall allows the religious service to take place against the backdrop of nature. 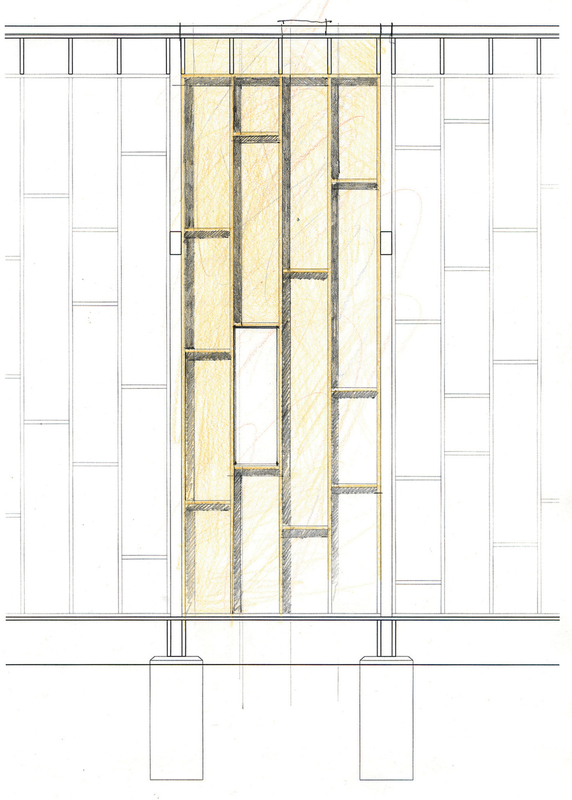 The entry platform supports outdoor services in summer months against a mosaic tile backdrop; the baptismal font and Stations of the Cross are located outside in the surrounding trees to reconnect religious rituals to nature.